You’re never done reviewing principles of grammar! Enjoy this free grammar practice worksheet! This entry was posted in Grammar and tagged Children, Education, Elementary School, Grammar, Homeschool, Kids, Teacher Resources, Teachers, Teaching by Squarehead Teachers. Bookmark the permalink. 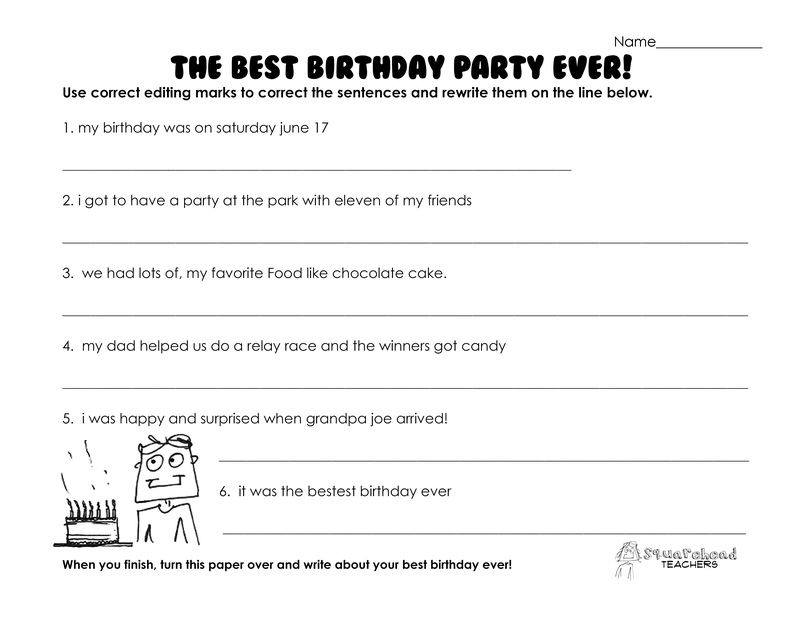 This is great; children will identify universally with this worksheet as who doesn’t love birthdays?